Even experienced road warriors and frequent flyers can struggle with travel anxiety, especially when it comes to getting on an airplane. Take it from me – I fly 50+ times per year, but still feel uneasy from time to time, particularly when a flight hits turbulence or my travel schedule doesn’t go according to plan. Recent airline disasters don’t help either! It’s easy to see why some folks avoid air travel completely. Long security lines, delays, booking complications, layovers, etc. are just a handful of the annoyances that can increase travel anxiety. And with the holidays around the corner, most of these issues are about to get worse! 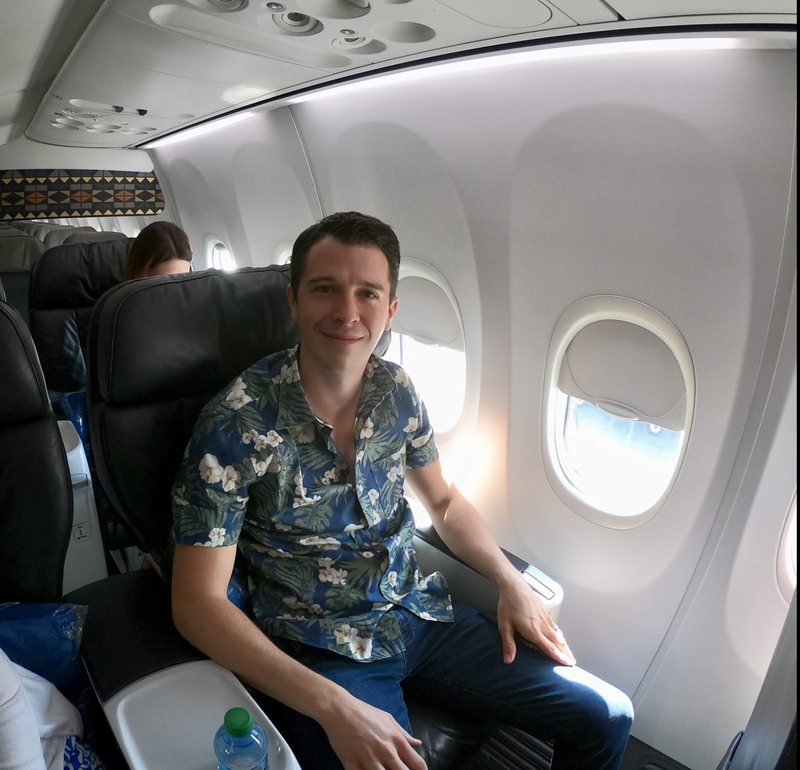 Thankfully, over the years, I’ve learned a few tricks to make traveling less stressful, including using miles & points to book comfortable Business Class and First Class seats! Plus, I have 15 of the best travel credit cards, which help reduce travel stresses by providing amazing perks, like trip interruption insurance and airport lounge access! For Me, Using Miles to Book Seats in Business Class or First Class Takes Away Some of the Stresses Associated With Flying Across the Country! I’m thankful that my travel anxiety hasn’t stopped from me from traveling around the world. Because checking off destinations on my bucket list has improved my life in so many other ways, including making life-long memories with my wife and becoming more cultured! While these tips & tricks might not cure your travel fears, I hope they can give you some comfort that you’re not alone! Reducing travel stress starts before you leave your house. Whether it’s planning your itinerary or deciding what to pack, you can avoid a lot of headaches just by being prepared. From my experience, waiting until the last minute to book a flight or secure a hotel stay is usually guaranteed way to have a chaotic journey. Here are a few tips I use when planning and booking travel! 1. Google Travel Search Tools Are Your Friend! Even though I typically always pay for flights and hotel stays with miles & points, I usually start my travel planning by searching for flights and hotel stays through Google. I find the interface to be extremely user friendly and the response times are super quick. As a comparison, I tend to become really frustrated when using online travel agencies, like Expedia or Priceline, because it takes a long time to load simple travel searches. I LOVE Google Flights and Searching for Hotels on Google (Even When I’m Paying With Miles & Points). 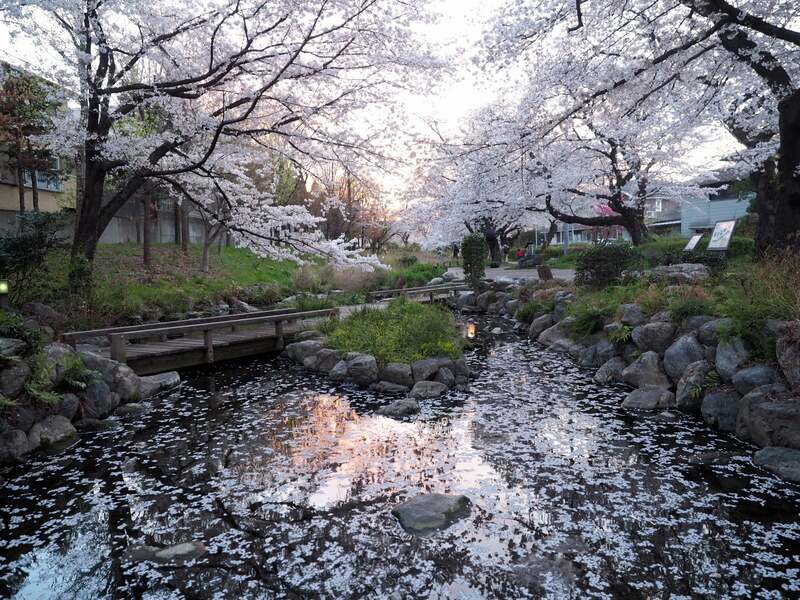 I Find the Interface to Be Extremely User Friendly, Which Saves Time When Planning a Trip! 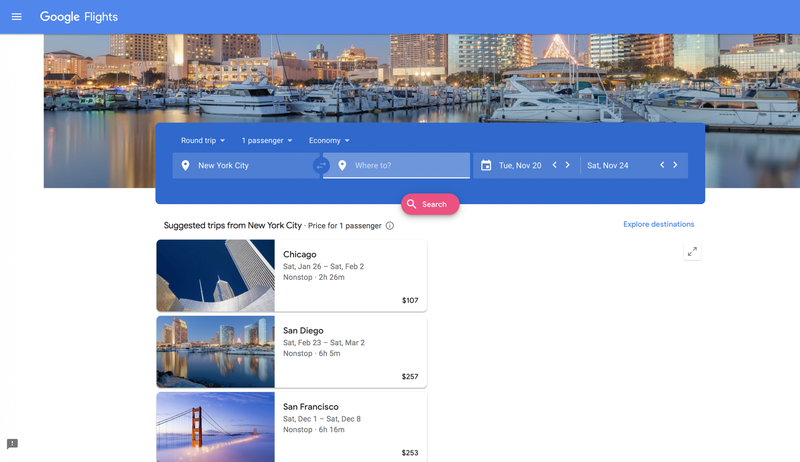 Plus, you can use the Google Flights price alert feature to help you book cheap fares. Part of travel planning also involves setting realistic expectations. For example, if you’re planning to travel over the holidays and have to fly on peak travel dates, chances are you’ll likely have to pay more or might find fewer options. So flexibility with your travel dates can definitely help eliminate some stress. Trip delays, trip interruptions, baggage delays, rental car accidents, and so on are a handful of mishaps that can occur while traveling. This is where carrying a top travel credit card can really come in handy. Certain rewards cards have built-in trip protection coverage. It can help if you have a sudden illness or injury, or for other unforeseen events. So when you’re paying for a trip, it’s important to use a credit card that offers benefits. This way, you won’t have to worry about “what if this happens?” between booking and actually taking your trip. Team member Jasmin has successfully used coverage with one of her travel credit cards to get reimbursed for meals and a hotel stay when her flight was delayed overnight. As an alternative or supplement to credit card benefits, some Million Mile Secrets readers use InsureMyTrip to shop for travel insurance, which can be helpful if you’re traveling overseas and looking for insurance to cover potential medical issues. As with any insurance, it’s important to read the fine print to be sure you’re covered in the event you have to file a claim. I’ll never forget the time I was in the Indianapolis airport waiting to board an Alaska Airlines flight. At the next gate was a line of folks waiting to board their Allegiant flight to Jacksonville. Just before their flight was scheduled to board, the gate agent made an announcement the flight was cancelled. I felt stressed and I wasn’t even traveling on the cancelled flight…I just felt bad for the passengers! The Large Crowd of Angry Allegiant Passengers Finding Out Their Flight Was Cancelled While Waiting to Board! A Good Reminder That Paying Less Isn’t Always the Best for the Long Run! I don’t mean to generalize when it comes to ultra-low-cost airlines, like Allegiant or Spirit Airlines. But they don’t have the best reputations. Of course, folks complain about the largest airlines, too. But my point is, sometimes you get what you pay for. For example, back to my experience with the Allegiant cancellation. 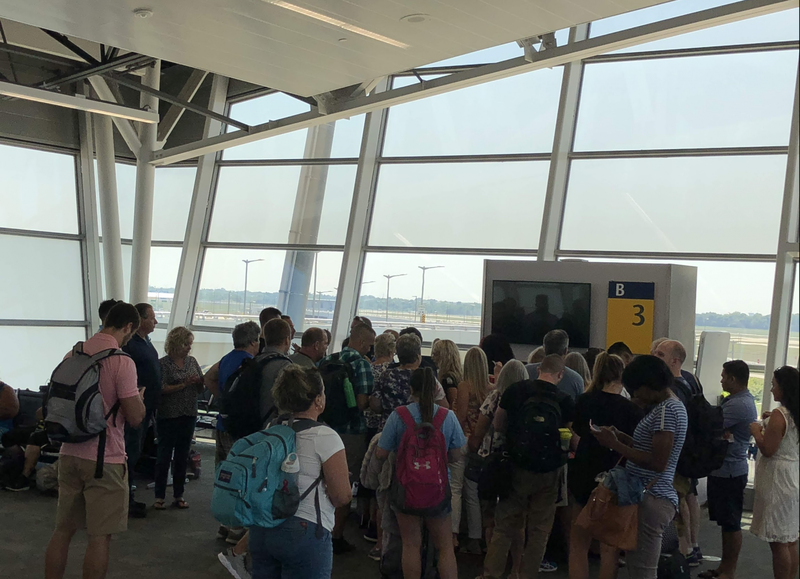 The airline didn’t have offer other flights that day, which meant passengers had to wait at least 24 hours to get on the next flight. Whereas, larger airlines like Delta or United Airlines typically offer multiple flights or can put you on a partner airline to get you to your destination. And paying less doesn’t only apply to booking flights on low-cost airlines. Sometimes, it’s cheaper to book an itinerary with a layover. But if you’re someone who has travel anxiety, paying extra to fly non-stop might be worth it! Before I knew anything about miles and points, the thought of flying in Business Class or First Class seemed like an out-of-reach dream. I thought you could only sit in the front of the plane if you paid lots of money! But then I learned a few award booking tricks, which made flying in Business Class a regular occurrence! 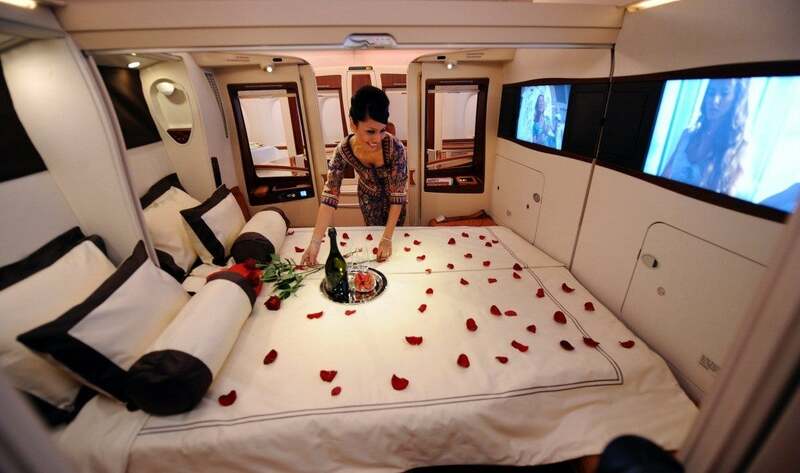 For example, earning flexible credit card points with programs like Chase Ultimate Rewards has made it possible for my wife and me to book luxurious First Class seats on Air New Zealand, Singapore Airlines, United Airlines, and others! Enjoying tasty meals and drinks and relaxing or sleeping in a lie-flat airplane seat can definitely reduce your travel anxiety. When I book these comfortable seats, I’m usually disappointed when the flight is over! Using Miles & Points to Book Unbelievable First Class Seats Can Definitely Help With Eliminating Any Stresses Associated With Traveling! Trust me when I tell you it’s a good idea to make a list before packing your suitcase. Despite traveling all of the time, I once forgot to packet my toiletry kit on a business trip to Nashville. When I got to the hotel, I realized I didn’t have any contact lenses or other necessities! While I figured it out in end, making a packing list would have easily avoided this stupid situation. And don’t leave any critical items off the list, even if you think you’d never travel without them. For example, my wife has gone to the airport twice without her driver’s license. Each time my stress level reached infinity. 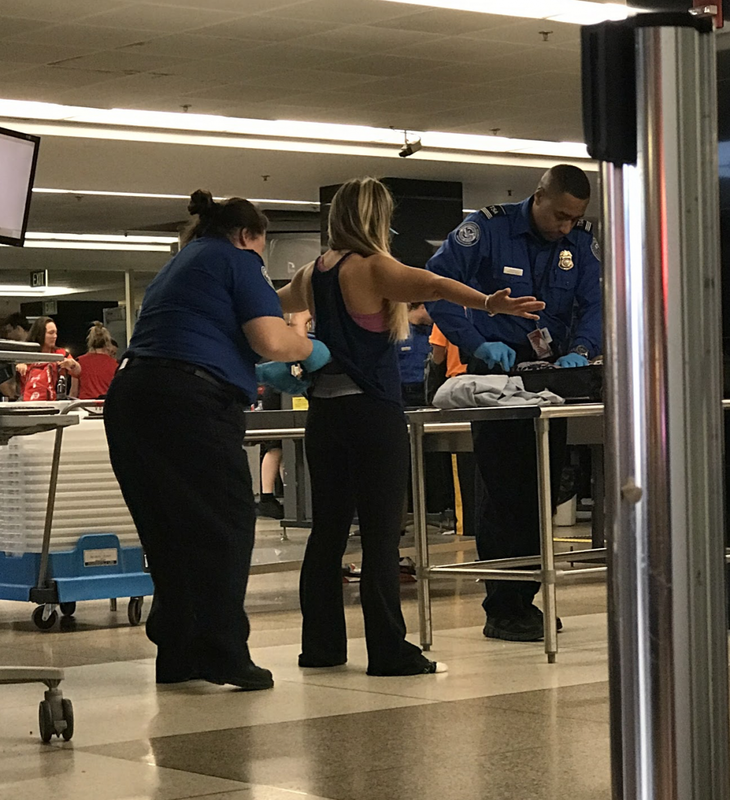 Be Sure to Keep Critical Items on Your Packing Checklist (Like a Driver’s License) or You Might Be Subject to an Extra Thorough TSA Pat Down! Here’s a travel packing list our team has put together! ID (passport, driver’s license, student ID, etc.) – You’ll need a passport for international travel and a driver’s license if you plan to rent a car. It’s also important to check your passport’s expiration date, because some countries require a certain number of months of validity past your date of travel. And some spots offer student discounts! 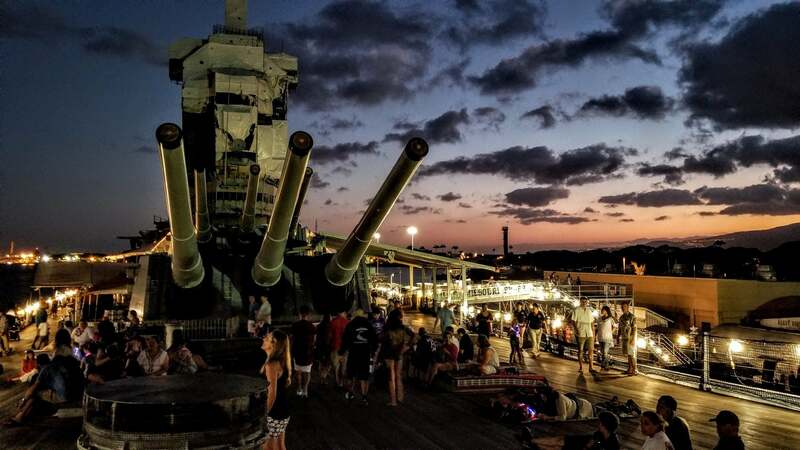 Tickets – Don’t forget your plane, train, or bus tickets! Or your entry tickets for an event or museum if you printed or received them at home. Credit cards and cash – Make sure you’ve figured out how you’ll pay for things once you land. This is especially important in more remote locations, like Cuba. Health insurance cards – It’s important to understand what your insurance does and does NOT cover while abroad. In case you need extra coverage. Power adapters – Make sure you know which type of adapter you’ll need to charge things like phones and computers. Comfort items for your flight – Don’t forget those “must haves” during your time in the air. Million Mile Secrets team member Scott brings moist towelettes on long flight to combat face dryness. And lots of folks bring items like pillows, face masks, slippers, and more. Technology – Double check to make sure you bring along your cell phone, laptop, tablet, or whatever other devices you plan on using. And don’t forget your camera either! Plus an extra memory card, charger, and tripod or selfie stick if you need it. Headphones – Noise canceling headphones can be a lifesaver! Medicines and toiletries – I always recommend carrying any important medicines in your carry-on. Consider toiletries like contact solution, mouthwash, and lotion for longer flights. If you suffer from travel anxiety, you might be able to consult with your doctor about prescribing anti-anxiety medication. Loyalty cards and lounge passes – Don’t forget to bring your Global Entry card, Priority Pass card, or lounge passes if you have them. Guidebooks and reservation information – If you won’t have an internet connection when you land, it’s important to write down things like reservation confirmation numbers and hotel addresses. And you can’t go wrong with a great guidebook! Change of clothes – After a long flight it’s nice to be able to put on a clean shirt. This is likely a MUST if you’re traveling with kids (a set for you and them)! 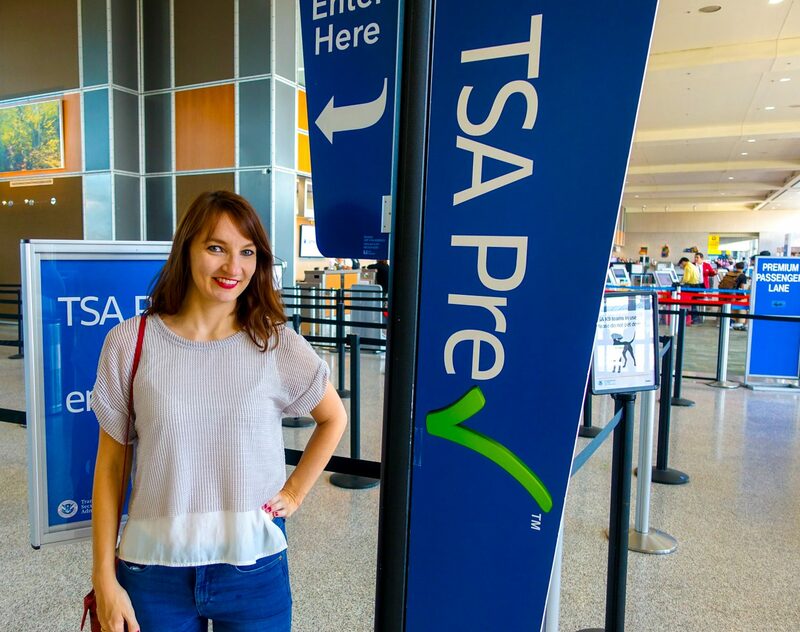 TSA PreCheck and Airport Lounge Access Are Extremely Helpful for Dealing With Airport Chaos! Does waiting on long security lines or in crowded airport gate areas sound fun too you? Me neither! Personally, 2 of my favorite perks for navigating airport chaos are having TSA PreCheck and getting access to airport lounges. Even if you’re just a casual traveler, hanging in airport lounges and going through shorter security lines can make a big difference when you travel. Many folks don’t realize credit cards that might already be in your wallet can cover the cost of signing up for TSA PreCheck (or Global Entry). For example, my friend has the United Explorer Card. I told him the card would completely cover the cost of signing up for TSA PreCheck. So he applied right away and now enjoys not having to take his shoes off when going through the X-ray machine! Long Airport Security Lines Can Be the Worst Part About Flying During Peak Holiday Travel Dates! I Highly Recommend Applying for TSA PreCheck or Global Entry to Save Yourself Time & Aggravation! Similarly, once you’re through security, waiting near a crowded gate for multiple hours isn’t desirable either. This is when hanging out in airport lounges can be a nice treat! Many casual travelers don’t realize lounges are accessible to just about anyone, even if you’re not a frequent flyer! Certain credit cards give you access to popular airport lounges where you can enjoy comfy seats, free Wi-Fi, drinks (including alcohol), and sometimes even full meals! 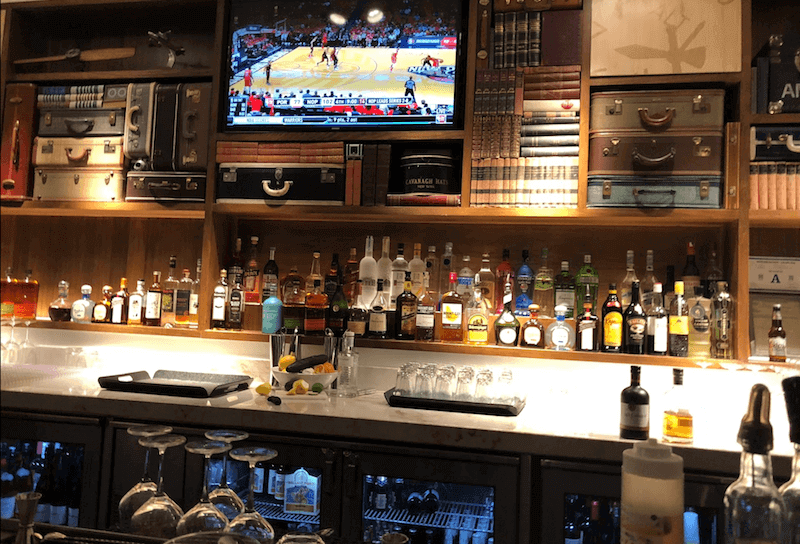 Personally, I continue to keep The Business Platinum® Card from American Express in my wallet because it gets me access to Centurion Lounges, which have awesome bars with free premium cocktails. Enjoying a beer or glass of wine before a flight always helps me relax a bit. The AMEX Centurion Lounges Are a Great Spot to Hang Before (or After) a Flight to Relax and Enjoy a Premium Adult Beverage! This Can Definitely Help Ease Your Nerves! And many premium credit cards offer a Priority Pass Select membership, which means you can access 1,000+ airport lounges (and airport restaurants) around the world! Fear of Flying? There’s an App for That! As I mentioned earlier, most of my travel anxiety stems from fear of turbulence. I’ve read all the stats and understand flying is the safest way to travel. There are more than 100,000 flights per day around the world that take-off and land without incident. While you might not cure your fear, there are a lot of helpful tips and tools that can make flying more comforting. For example, SOAR is a fear of flying program created by a former airline captain and a licensed therapist. The online course addresses more than just overcoming turbulence. I haven’t taken this course myself, but I’ve read great reviews by folks who have. There are lots of other apps and mediation programs you can download before departure to help ease your nerves as well. I sometimes listen to Michael Sealy’s sleep hypnosis tapes on Spotify. These usually help me fall asleep during the flight. Or you might consider a meditation app, like Calm. There are lots of research reports that highlight the large percentage of plane passengers that suffer from some sort of travel anxiety. So you’re not alone if you have a fear of flying, get nervous traveling around the holidays, or just feel overwhelmed when booking travel. For me, it’s a fear of turbulence that causes me some unease, even though I fly 50+ times per year. There are lots of tips you can follow to help make travel less stressful. It usually starts by planning ahead and taking advantage of certain booking tricks. For example, just paying for your travels with some of the best travel credit cards can get you trip protections, including delay and interruption coverage. This means you can have peace of mind after you book, even if there are mishaps during your journey. Time spent at the airport before a flight can be the most stressful for some flyers. Long security lines and crowded gates aren’t fun for anyone. This is where credit card perks can really come in handy! Many cards cover the cost of signing up for TSA PreCheck, which means you can skip long security lines. And there are many premium cards that get you access to airport lounges, which is a great place to relax before your flight and enjoy a complimentary drink (including wine or beer). What are your strategies for dealing with travel stress, especially during the holidays? Let me know in the comments below!